Here is an image from Sunday's game against the Panthers. 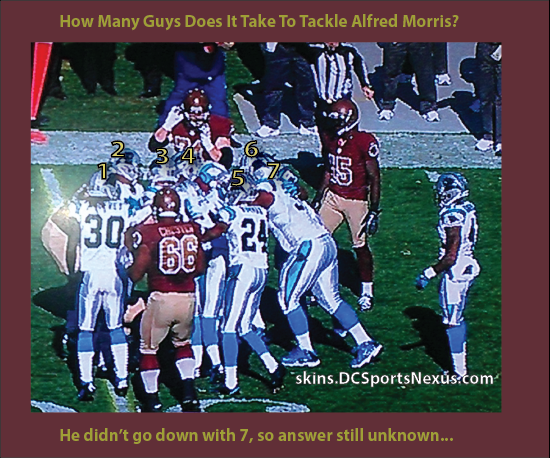 You can't even see him in the image, but in that pile of 7 Carolina Panthers is Alfred Morris. No, he is not on the ground. He is standing up. Because all those Panthers were trying, but could not take Alf to the ground. BEAST!